Are You Eating a Balanced Vegan Diet? 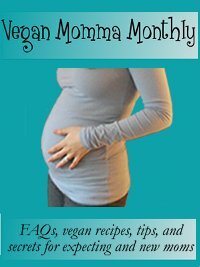 Vegan Momma Monthly: Are You Eating a Balanced Vegan Diet? *Introduction: Are You Eating a Balanced Vegan Diet? *Question: "What do you think about soy infant formula?" When you live a hectic, crazy life, it can be easy to start eating convenience foods and realize at the end of the week that you accidentally ate crap the whole time. You totally forgot about the gorgeous leafy greens sitting in your refrigerator and you never even cracked a can of beans and just resorted to fake meats the whole week. It's okay, we've all been there! Sometimes what you need is a visual to help you see what you might be missing, and to remember that it's not hard to add in the healthy food, even if you're pressed for time. 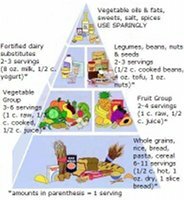 This easy vegan food pyramid helps remind you of the different facets of a healthy vegan diet, to make sure both you and your children are getting enough of everything you need to thrive. Everyone has that one meal that gets tossed on the table on the nights when you're too tired to think of anything creative. For me, that's some combination of steamed quinoa, whatever beans are cooked and in my fridge, and vegetables. I fill half the plate with vegetables, one quarter with quinoa, and one quarter with beans, add a little Liquid Amino's and nutritional yeast and call it a night. And truly, while this is obviously a plain and healthy dinner, it also usually tastes really good too. If I'm low on quinoa, any other whole grain can be substituted in its place. Don't tell the others in my pantry, but quinoa's my favorite. I just love the ever-so-slightly crunchy, soft texture and nutty flavor. And guess what? No one was kidding when they said it was a super food. Check out all the details about quinoa nutrition here. Question: "What do you think about soy infant formula?" "I am a vegan and unfortunately, I'm not able to breastfeed my baby. I know that breast milk is the best thing I could possibly feed her, but it's not an option. How do you feel about soy infant formula? I don't want to feed her cow's milk, but I have to pick what's healthiest for her. What do you recommend?" 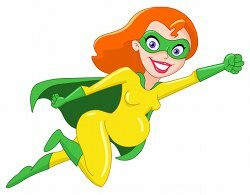 Read my answer to Tanya's question about whether soy infant formula is safe for your baby. One of my favorite treats as a kid were cheese crackers in general, and pizza goldfish in particular. I think I was one of about 99% of the rest of my peers who enjoyed the goodies, and don't tell anyone, but I still enjoyed them into adulthood. When I stopped eating cheese, I didn't specifically miss goldfish, but I do remember being ecstatic the first time I found EcoPlanet "cheese" crackers, so maybe I was harboring hidden resentment at not being able to eat this little treat. The only downsides to EcoPlanet's crackers are that you don't get very many in the box, and thus, they are somewhat expensive. Now we don't have to worry about searching around looking for boxes of vegan cheese crackers because we can make them ourselves. You and your children will love this fun snack, and it makes for a great, interactive project to do together in the kitchen. Get the complete vegan goldfish crackers recipe here.